Project Agency has worked with a wide variety of organizations – top 100 companies, public sector organizations; medium sized companies as well as charities. Set out below are case studies showing some of the work carried out by the company. The Problem: The Company were aware that projects were not being delivered effectively. Few staff had been on project management courses and they had no overall project management approach. They developed thier own project methodology and asked Project Agency to benchmark the document. 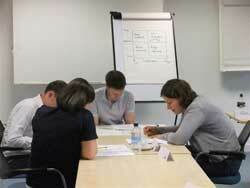 They wanted to develop in house project management skills quickly. How We Tackled the Problem: We reviewed the new written project management methodolgy making recommendations where appropriate. We designed a two day project management training course to support the in house methods and ran a large number of project management training events. 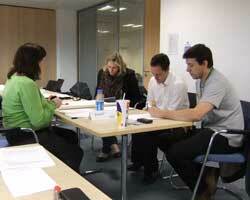 In addition, we worked with in house staff to develop their training as well as project management capability. The Benefits: Through an analysis of a questionnaire we were able to identify a trend towards more effective project management. Essential projects were being delivered and staff were much more aware of the way to approach change thorough the use of and application of project management skills. The Problem: The County Council has developed a close working relationship with the community through the formation of a strategic partnership arrangement. This is a multi agency regional partnership set up to develop economic, social and environmental well being of the community. This combined with a large number of internal projects meant a large number of projects for the council, were all delivered in different ways. There were concerns within the authority to improve project management capacity – especially to deliver more effectively. How We Tackled the Problem: After some initial discussions we met with senior managers in the Council and identified a number of themes and issues. 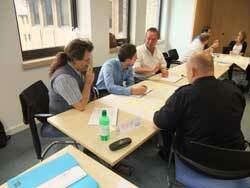 We organized a project managment workshop for key stakeholders. 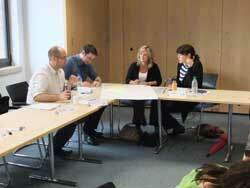 The workshop identified a number of priorities for staff to action. The Benefits: The authority has now developed its own in house methodology [a high priority area] and ran several pilot project management programmes. They have now identified a series of programmes aimed at different levels in the organization. They now feel they are in a good position to have not only consistency of project management but consistency of delivery of projects – reaping the benefits of some good internal work. The Problem: The University was under severe pressure. There was much competition for student places and there was a drive to try and obtain more funding through selling consultancy services to local as well as international companies. Change was needed and quickly for the university to compete effectively. How We Tackled the Problem: We designed some specific project management events and ran these for a variety of academic and non academic staff. In addition, we worked with internal training staff to enable them to deliver the project management programme, licensing them to use our materials. The Benefits: The University started to not only deliver key projects more effectively but started to work more as a team across departments. This helped bring about a clear culture change. Project management training is now seen as an integral part of the change management process. The Problem: The health authority was undergoing rapid change and wanted to introduce care pathways. The problem was that there was no overall project management approach. Additinally, few people had any project management skills. How We Tackled the Problem: We worked with senior managers to develop a specific project management course which was delivered to many internal staff. We also delivered a range of project management workshops for Chief Executive and team, senior management groups including medical leads. The Benefits: The health authority had a specific one approach for managing and delivering projects with templates etc on their intranet. This allowed many people access to project management materials and knowledge. Care pathways were delivered a lot quicker and one further benefist was the reduction in the number of projects within the authority.